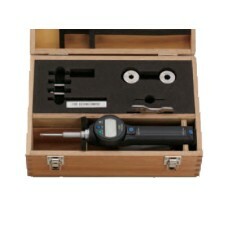 The Series 568 Mitutoyo Borematic ABSOLUTE Digimatic Bore Gage (Interchangeable Head Sets) are on sale at Gaging.com! We are authorized Mitutoyo dealers. Each set includes one display unit with interchangeable measuring heads of the sizes specified and extension rod. 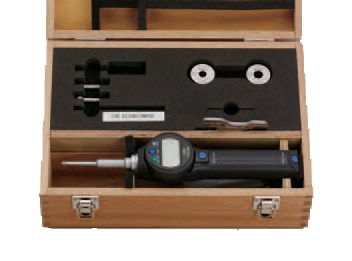 The Borematic system allows for quick and accurate bore measurements. Large LCD digits for error-free reading. Setting rings for preset function are optional. Deep hole measurement with optional extension rods. Actual Product May Differ From Image The 568-928 Mitutoyo Borematic ABSOLUTE Digimatic Bore Gage (I..
Actual Product May Differ From Image The 568-929 Mitutoyo Borematic ABSOLUTE Digimatic Bore Gage (I..
Actual Product May Differ From Image The 568-930 Mitutoyo Borematic ABSOLUTE Digimatic Bore Gage (I..
Actual Product May Differ From Image The 568-936 Mitutoyo Borematic ABSOLUTE Digimatic Bore Gage (I..